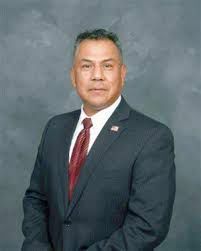 DONNA — The Donna school district trustees accepted the resignation of Superintendent Fernando Castillo on Tuesday evening during a special board meeting called to specifically reopen the discussion of his proposed resignation or termination. Castillo resigned as superintendent effective immediately but as part of the deal he will be reassigned within the district to another position until June 30, at which point he will leave the district. Until then, he will keep his pay of $210,000 annually and benefits, but at this point it is unclear what title he will hold. Ceniceros referred to the process of searching for a new superintendent, which would have been delayed by a termination considering Castillo would have been given time to appeal the board’s decision and could have requested a formal hearing. The hearing process can take up to 60 days, plus in some cases additional time is requested. The board will probably employ a search firm and begin advertising the position next month, Ceniceros said, to try to have a replacement by the end of the school year. Castillo’s termination was first discussed by the board during a meeting Feb. 13. At the time, the trustees all voted to not take action on the matter. This time the trustees voted unanimously in favor to accept his resignation after a two-hour long executive session after which there wasn’t much discussion on the matter. Castillo had been under paid administrative leave since Dec. 15, after the board received the results of an internal forensic audit which questioned his leadership and some of his decisions, including several administrative appointments. The district has since been led by interim Superintendent Filomena Leo, who was appointed by the board that same day. Leo will be in charge of reassigning Castillo to a new position. The audit also led to administrative rearrangements which included removing Jose Villanueva from the assistant superintendent of human resources role and placing him as principal of the Donna 3D Academy, and terminating former director of testing/evaluation, Maricela Valdez. Castillo was named deputy superintendent in June 2015 after the suspension of former Superintendent Jesus Reyna. A month later, the board approved Castillo’s five-year contract, which included a $210,000 annual salary plus benefits. Castillo’s contract, however, was also put at risk by a recently finalized lawsuit filed against the previous board of trustees by former Trustee Ernesto Lugo and Ceniceros claiming two trustees — David de los Rios and Dennis Ramirez — were illegally appointed to the board. The judge’s decision sided with the plaintiffs, making any board decision in which the two appointees’ votes were crucial, including the approval of Castillo’s contract, voidable. At this point Ceniceros said he hopes they made the right decision as their only interest is to move on with the search for the top leadership role. This article was modified to clarify that the board of trustees voted unanimously to accept Fernando Castillo’s resignation as superintendent of Donna ISD.